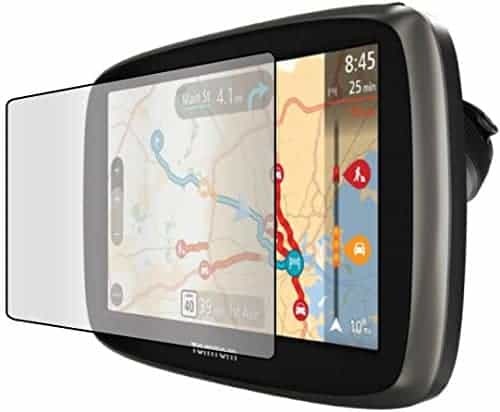 Sat Nav Screen Protector – should you get one? - Which Sat Nav? Home » Accessories » Sat Nav Screen Protector – should you get one? The screen of my TomTom GO 50 is now scratched. I took it off the windscreen mount and threw it into the front pocket of my backpack. No big deal you might say? Usually not, except this time I had a big bunch of keys and a load of coins there too. I guess it’s not the optimum environment for keeping a sat nav in one piece! Whilst grumbling to a friend about the damage, she asked why didn’t I have a sat nav screen protector? Good question. And to be honest I have no idea why I didn’t have one. Probably because it’s not something that I thought would be necessary for my gps device. I mean, it usually sits in its cradle attached to the windscreen. or Alternatively it my be hidden away in the glovebox whilst the car is empty. How many times have you put the sat nav into your holdall or handbag? Make sure to thoroughly clean the screen prior to application. This will ensure superior adhesiveness and will help prevent any unsightly bubbles in the protector! Without making too much of a sweeping statement (but I guess I’m going to anyhow!) it seems that many women throw their sat navs into their handbags as they leave the vehicle. The guys, well they appear just to throw them into the glovebox or into any available cubby hole within the car. Either way, there is a possibility that the device will get scratched if something hard comes into contact with the screen. One solution would be to buy a carry case for your gps. These work by protecting the entire device from any potential damage. Great for when you are taking a flight and will be hiring a car on the other end. No need to pay extortionate rental fees for the hire car company’s basic sat nav devices. However, I’m not convinced that these cases are that practical for everyday use. They add considerable bulk to the device and in my view if your going to be carrying anything it should be as slim and light as possible. This is where screen protectors come into the picture. 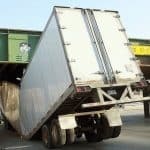 IN most cases they remove the need and the additional expense for a protective case. After all the screen is probably the most important element of the device. Right? Well, these screen protectors are thankfully pretty easy to apply. So I ordered the screen protector from Amazon for under ten bucks with a 25% discount. 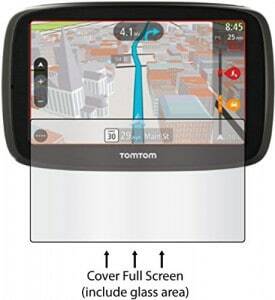 Great value if it does the job of properly protecting the screen of my TomTom Go 50. The manufacturer claims that these are Anti-Scratch, Anti-UV and will remove glare from the screen whilst driving. In fairness they are fairly easy to use and install. Once the screen is clean you should have a good surface for the protector to attach. The screen protectors are pre cut to fit your device and therefore there’s no need to go about with a scissors to ensure a snug fit. As long as you take your time the process is fairly painless. If however, you do happen to run into difficulty then there’s on need to worry as you have 3 protectors in the packet. Just throw out the one you messed up with and start again! Quite simply, yes it does. The screen is protected from normal scratches and wear and tear. Of course your going to damage the screen of the device if you hit it with a hammer! For everyone else that use it in the normal manner for everyday journeys it does the job just fine! There doesn’t appear to be any loss of sensitivity to the screen. It still responds well to the touch when inputting destinations etc. Interestingly the screen is also much easier to clean with the protector. I no longer have to breathe on the screen and wipe it a few times to remove fingerprints and/or grease stains. I also like how there is far less glare on the screen whilst driving during strong sunlight. I’m also guessing that the protector is easy to remove as you would peel it off from one corner. I haven’t tried to remove it yet as I’m afraid I won’t be able to get it back on correctly! There’s nothing worse than a poorly fitted protector with a few bubbles on the screen……. It's an Absolute No Brainer! 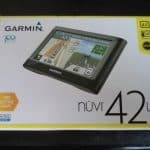 Garmin nuvi 42lm portable gps - discontinued?